Movable power…wherever you want it, whenever you need it. Charge laptops, notebooks, iPads, tablets, mobile phone Multifile’s Locker Power System is an innovative perforated charging locker designed to charge laptops, notebooks, mobile phones, portable tool batteries, and other portable devices. 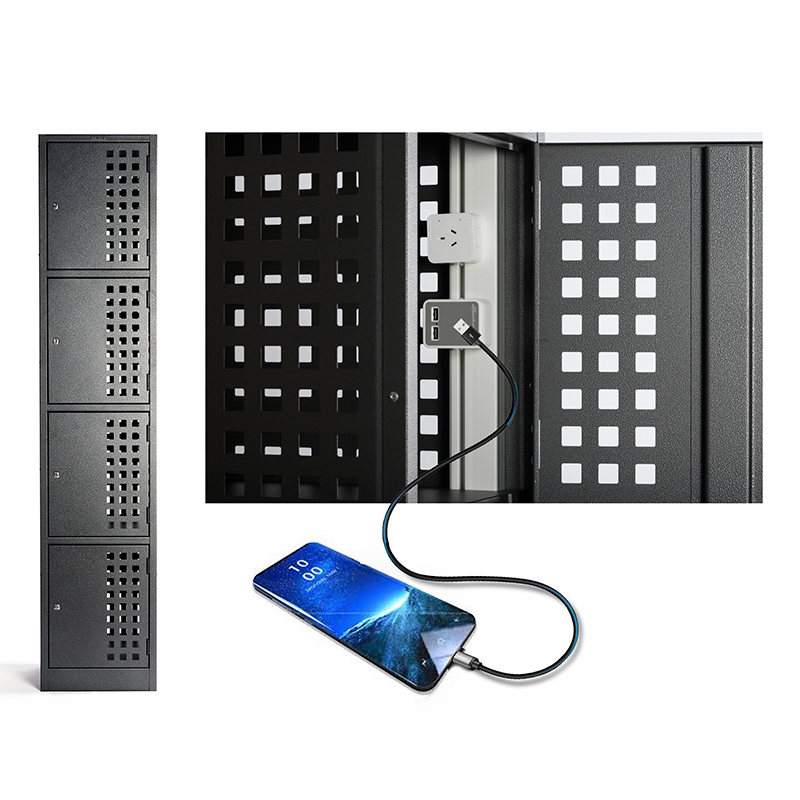 Importantly, the locker’s 22mm perforations maximize airflow in warmer environments or where heat is generated from the charging device(s). The Locker Power System is available as single or multiple units connected together utilising only one power lead (some limitations apply). 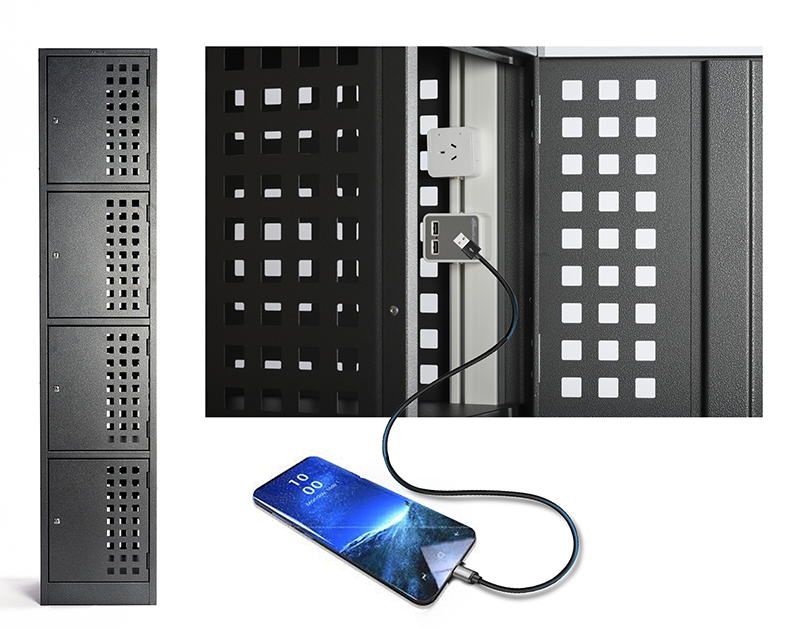 The Mainline™ powered track that runs the full length of each locker contains three copper strips (busbars) which carry the live, earth and neutral cables of the power supply and houses them in a safe, discreet manner so that they are only accessible through specially designed sockets. 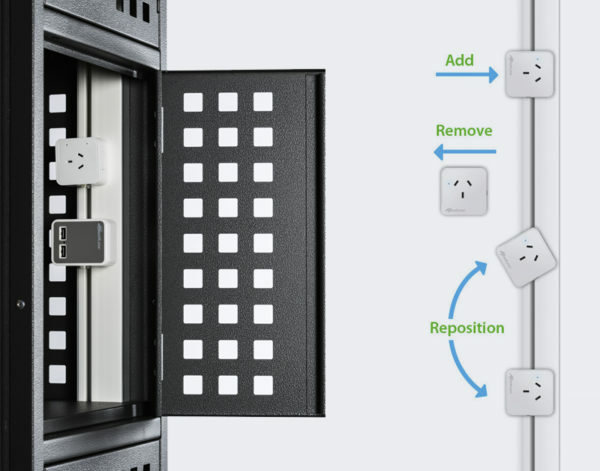 The powered track accommodates 240 volt GPO sockets, dual USB sockets and the soon to be released USB-C socket. Additional sockets can be ordered as optional extras. The sockets simply insert into the track and twist 90° clockwise to make a connection. 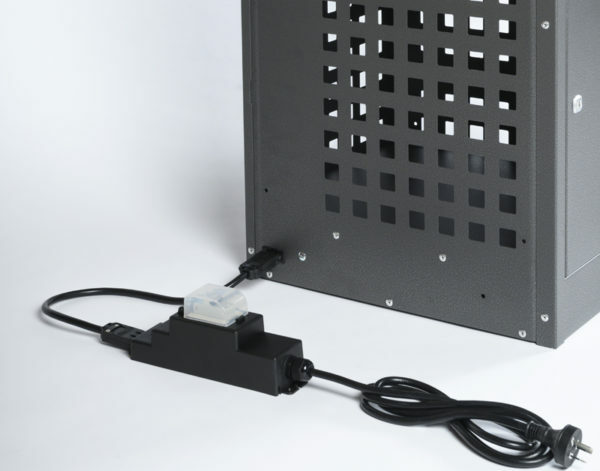 Each socket can easily be inserted anywhere along the track. To release, just push a button and turn anticlockwise. 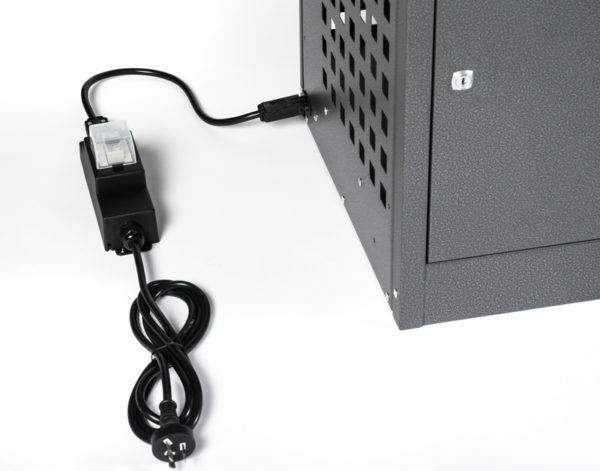 To secure the socket on a permanent basis insert a specially supplied screw in the side to prevent unlocking. 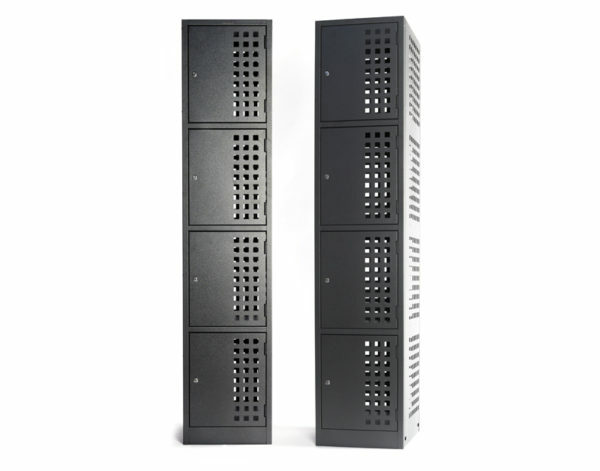 Congratulations on your decision to purchase a Multifile Locker Power System cabinet. 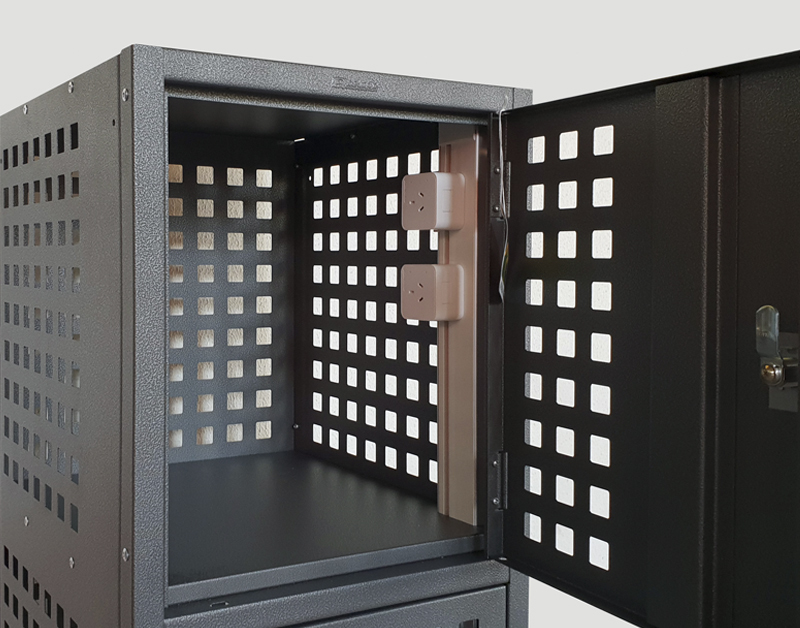 Delivering the cabinet to your location safely is just as important as helping you choose the right cabinet for your needs. Multifile uses companies who are skilled in handling these cabinets. They are accustomed to handling and delivering ‘sensitive freight’ with experience built up over the last 20 years AUSTRALIA WIDE. *Shipping costs may vary depending on location and number of Powered Lockers.